The applicationSignificantTimeChange app delegate function lets us know when things like daylight savings time begin. 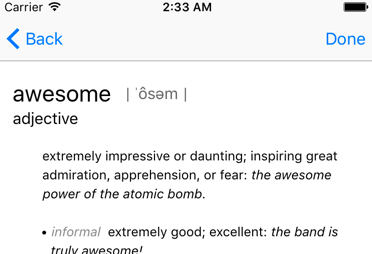 We can use a reference library view controller to display a nicely formatted screen depicting the definition of a term in our app. Neat!